Image sharing is all the rage these days. So when I found a site that combines fun photo edits and my love for my Chug dog Bohzie, I was all in. Enter Pack. Pack is the ultimate social media platform for dog lovers. Users upload fun moments and elegant portraits to their breed specific “Pack” page, and they can then add cute word graphics. The image above is one that I posted during a Thanksgiving image contest, and it is by far one of my favorites. 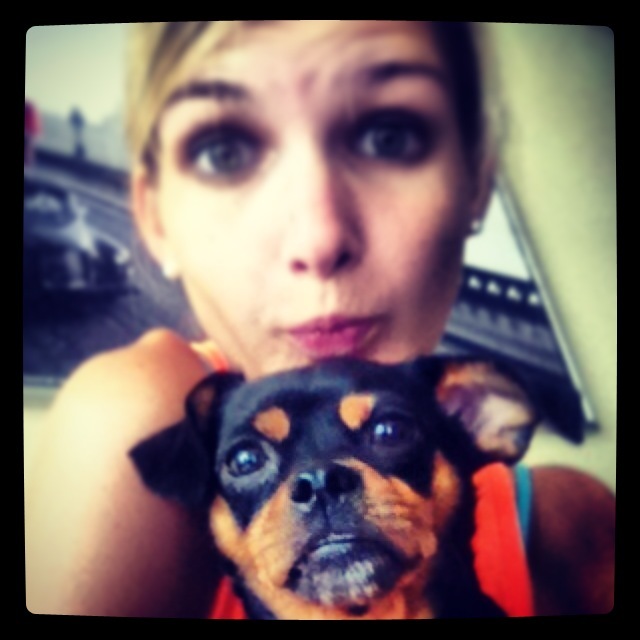 With Pack, you can even link to your Instagram account to do automatic pup postings when you use #(your dog’s name)! They’re still a relatively new social channel, so they are making great little enhancements like this all the time. Pack is all about celebrating those little magic moments with your special furry friend – and that’s what makes it such a unique channel that is worth barking about. Gee, ATL Snow Whaddya Know? 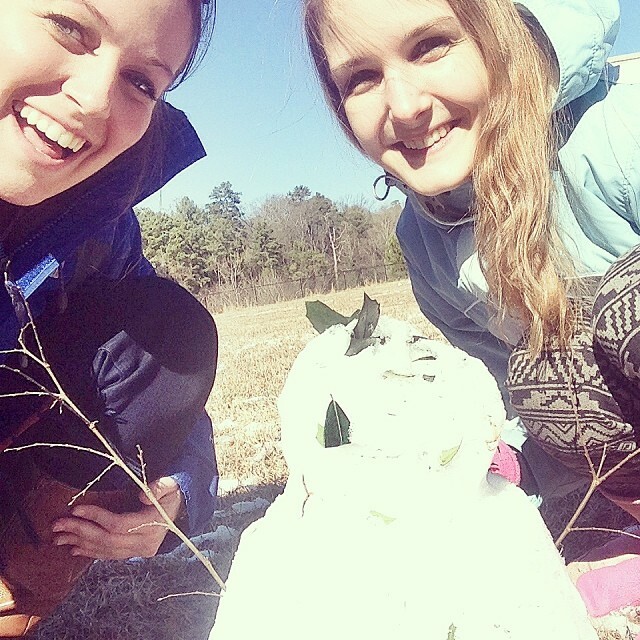 I break my blogging silence to bring you a little piece produced in the wake of Atlanta’s very own Snow Jam 2014. Enjoy. 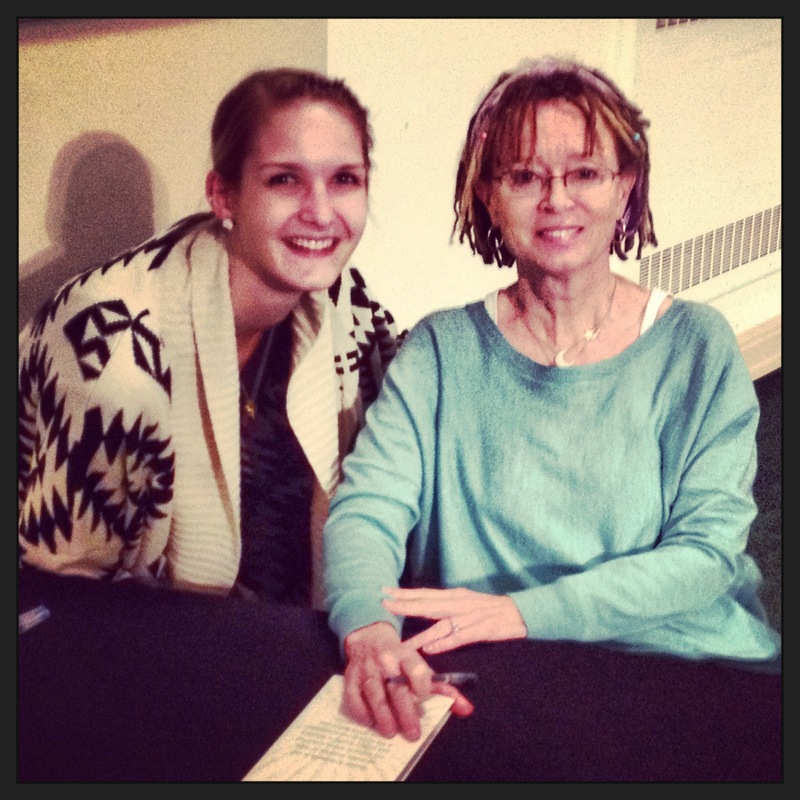 On Monday evening, my dad and I had the honor of seeing my all-time favorite author Anne Lamott speak at First Baptist Church in Decatur. She is traveling across the country on a book tour for her new nonfiction book called “Stitches“. My dad bought me a pre-signed copy at the event, and I can’t wait to read it and let her words wash over me like a refreshing wave of brutal honesty. Her writing always serves my soul up with a good spiritual pep talk. 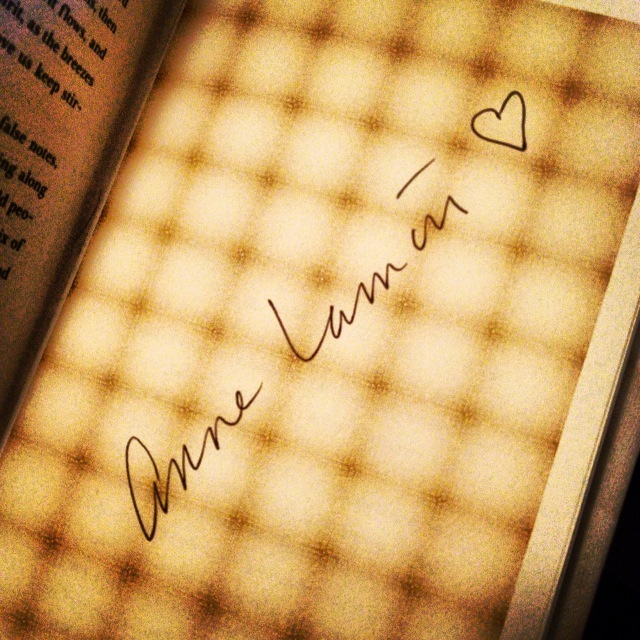 I first fell in love with Anne’s work and her raw voice when I read her nonfiction book “Bird by Bird” in my creative writing class during my senior year of high school. I am eternally grateful to my dear teacher and mentor, Mr. Bill Waters of the Bryn Mawr School, for introducing me to this amazing artist of an author who has become such a beacon of inspiration to me over the years. I was astounded by how this woman was able to pinpoint the precise words and craft the perfect metaphors to capture emotions and articulate faith. She has no shame in her expression, and she is boldly self-deprecating in her brilliance. She openly discusses her battles, both big and small, with everything from addiction to cellulite. Because of this honest and relatable style of hers, she has won over the hearts of her readers. This fan following was out in full force on Monday evening. My dad and I arrived around 6:30 for the 7:00pm event, and the place was positively packed. Anne quietly emerged at the front of the church in jeans and a baggy sweatshirt, casual and real (I would have been both shocked and disappointed had she come out in a fine tailored suit). She spoke candidly about the difficult process of putting yourself back together after tremendous loss. Inspired by the tragic events of the Newtown shootings, Stitches, she told us, was written for the bad days. There is no roadmap or recipe for how to get better or “snap out of it”. You must grieve in your own way – whether that be surrounding yourself with people to distract you, or sitting alone under a blanket with Tootsie pops. The beauty of life is that there are wonderful, gracious people who are compassionate enough to put you back together. It’s difficult to put into words just how it felt to meet this person who has been such a mythical character – a best friend of a stranger with whom I have become so connected through the way that she feels and expresses herself in her words. I am consistently awed by her magical gift of writing. The experience was made even more special because my hero of a father was by my side. 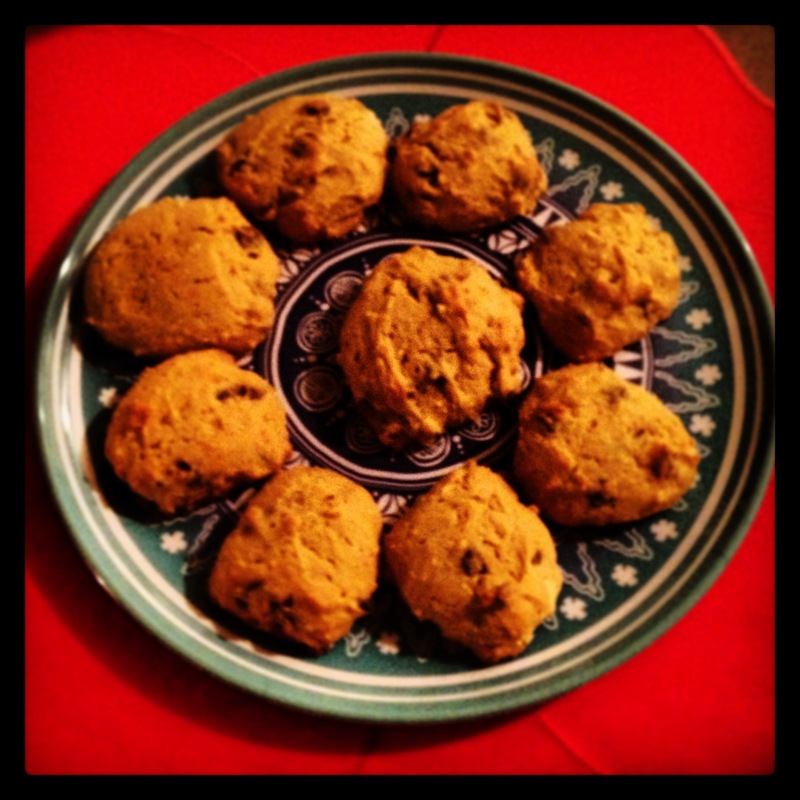 You know life is good when pumpkin cookie season is in. I accept the end of summer when I bust out my pumpkin chocolate chip cheesecake cookie recipe. I hate to say goodbye to tank tops and pool days, but the sweet aroma of pumpkin makes it all okay. I made my first batch last night and officially made peace with this change in the air. To me, pumpkin has always been a smell, a taste, a feeling that soothes my soul. It reminds me of visits to Grandma’s house. I would teeter my way up the path to her homey brick house, trying to crunch as many crisp leaves as possible with my little light up sneakers. I crossed the threshold and ran into her arms, taking in the smell of her delicate floral Grandma aroma intermingling with the warm, cinnamony spice of her fresh pumpkin bread. The ultimate fall afternoon at Grandma’s house: laughter, double solitaire, hugs, games of fetch with Sebastian the dog, and perfectly cooked pumpkin bread, delectable and soft. 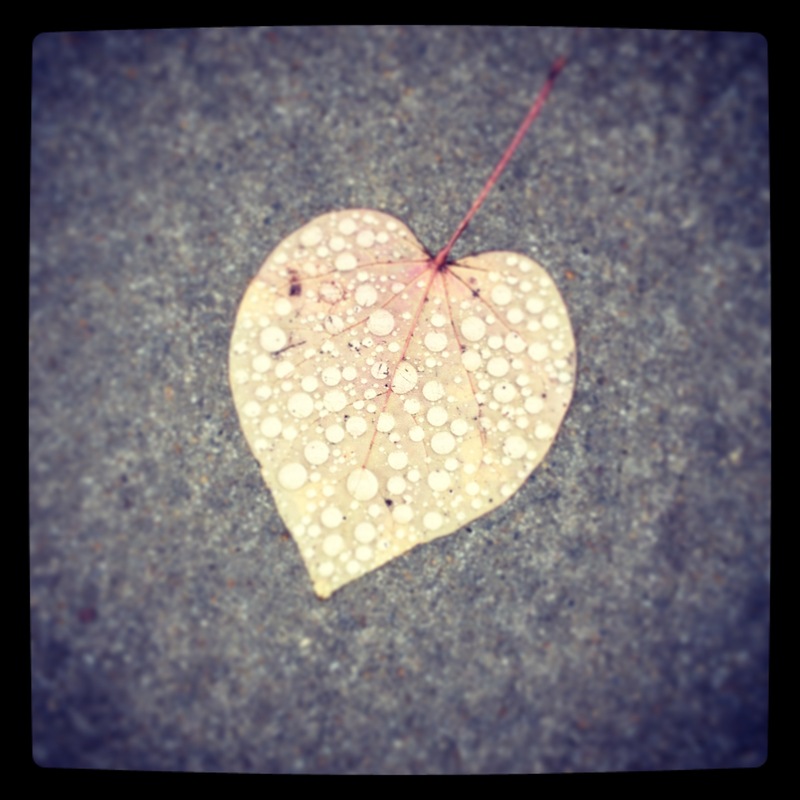 I always left her house with a little seran wrapped loaf of that autumnal deliciousness…and a warm heart. Now I have my own pumpkin treat. The recipe is a little bit different, and I’m a little bit taller. But that pumpkin smell will always bring me back to those classic autumn days. That pumpkin smell? That’s love. Gee, Fall, Where Did You Come From? Well I guess October starts next week. How on earth did that happen? Time flies. All the more reason to note the little pieces of autumnal bliss – from the floating leaves to the crisp breeze. Gee, Where Did The Summer Go? So we didn’t have much of a summer here in Atlanta with week after week of rainy weather. The fall snuck up on us, and suddenly pumpkin spice is available at Starbucks (love the new #PSL campaign, by the way), the Ravens are back on the field, and the kiddos are back in school. And Christmas is tomorrow. Well, not quite, but it sure will feel that way. Bohzie girl – superstar chug and latest addition! I’ve been pretty quiet on the blog front as my life has been a bit chaotic and full of change – in some very good and exciting ways! From my new job to my new pup, I have certainly had my hands full. But I hope to jump back on the blog train and share more art, music, and life musings. The purpose of today’s post: to introduce you to my new little shop on Society 6! Available for purchase on Society 6! My collage art has always been my therapy, and I love creating custom pieces to share and gift to family and friends. With my Society 6 shop, I can now share these pieces with the world. I only have two up so far, but I hope to be adding more in the next few weeks. Keep an eye out! One of my favorite things in the world? Stumbling upon random musings of unexpected inspiration. When I was in New York City a few weeks ago for Governor’s Ball, I found some prime pieces of thought-provoking messaging. It’s no surprise, really – the city is all about self-expression and creativity. People don’t hold back when they have thoughts and ideas and opinions. No filters here (except on Instagram because goodness gracious those New York hipsters love their Instagram…and so do I). This one appeared on the back of the bathroom door at Commonwealth in Brooklyn. I appreciate that the establishment encourages commentary in the WC. I find this message particularly refreshing. I like to see people sticking up for Granma. I enjoy that this wall graffiti located by a Brooklyn subway stop incorporates dialogue. What do bums do? We all have our own opinions. And some of us are lucky enough to have a marker handy to join the visual conversation. Touché.